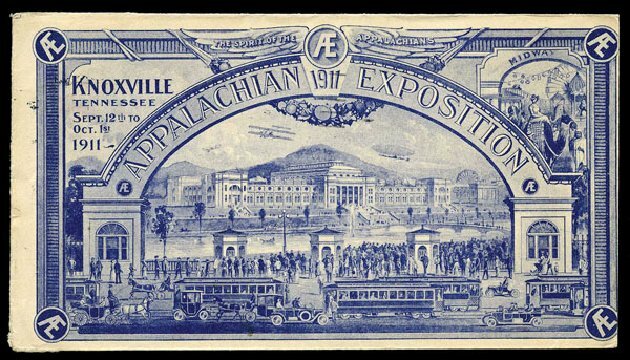 U.S.; General Issues, 1910, Knoxville Appalachian Exposition Cover, Scott #375, Aug 8, 1911 machine cancel ties 2¢ adhesive (#375) to reverse of envelope, to Boston, all over ad on reverse, fine to very fine. Estimate price $100-140. 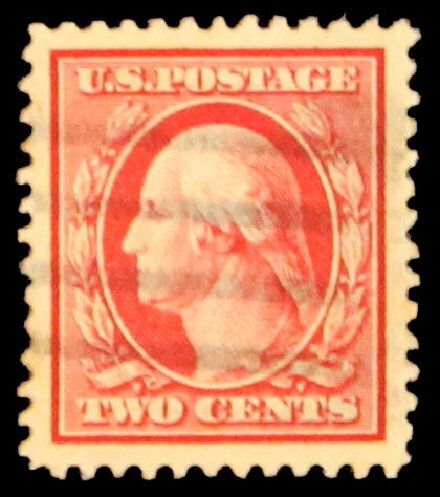 1910, 2¢ lake (Scott 375b), o.g., hinged (pencil mark on gum), decent example of the scarce lake shade with true color, Fine. 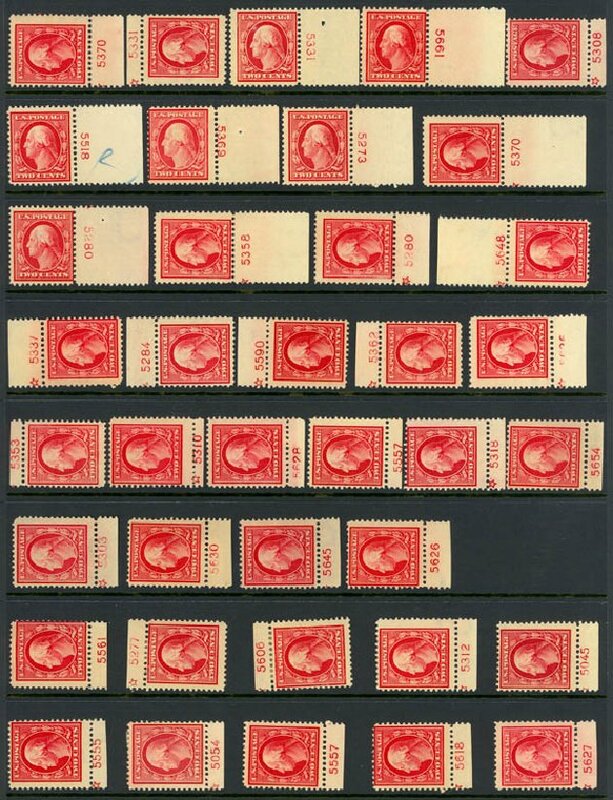 Scott $800. Estimate $200 – 300. 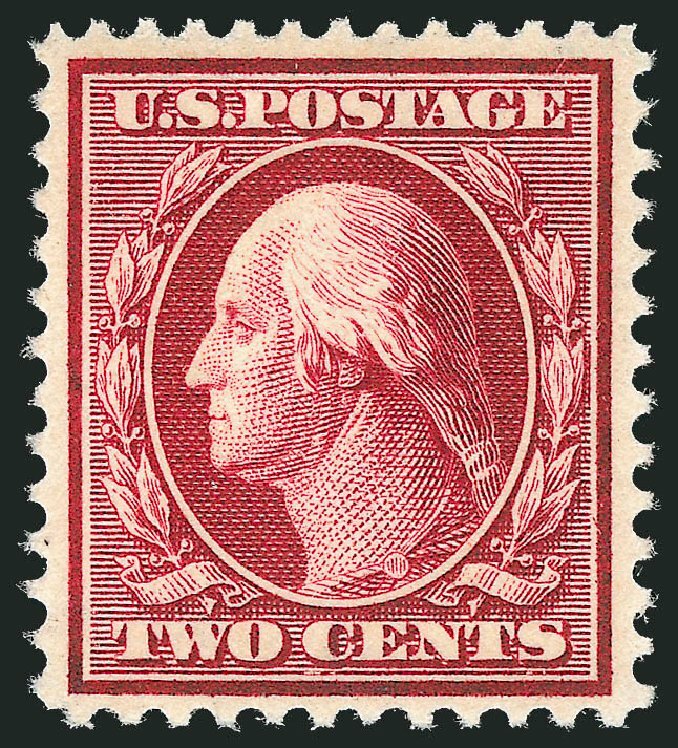 1910, 2¢ carmine, double impression. Clearly visible double impression throughout the design, rich color, o.g., F.-V.F. Scott No. 375d; $750. 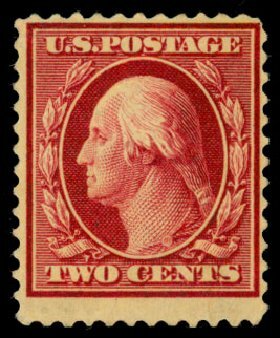 o 1910, 2¢ lake (Scott 375b), dark unmistakable color. Neat machine cancel. Slightly toned at top, with a small crease. Otherwise F.-V.F. unlisted and unpriced used. 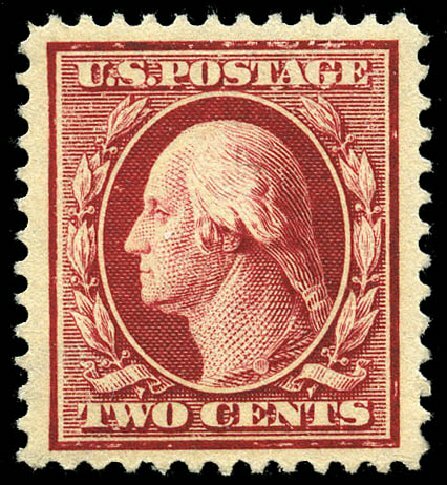 AN ATTRACTIVE EXAMPLE OF THIS EXCEEDINGLY RARE USED SHADE— IN FACT, THIS IS THE ONLY USED EXAMPLE CERTIFIED BY THE PHILATELIC FOUNDATION. Expertization: 1997 P.F. Certificate. 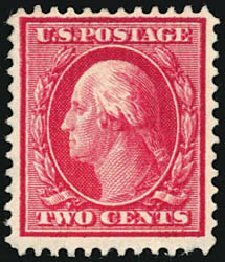 o U.S. General Issues, 1910, 2¢ Carmine, #375, used, huge copy, Grade 98J a Superb jumbo, PSE (2004) cert. 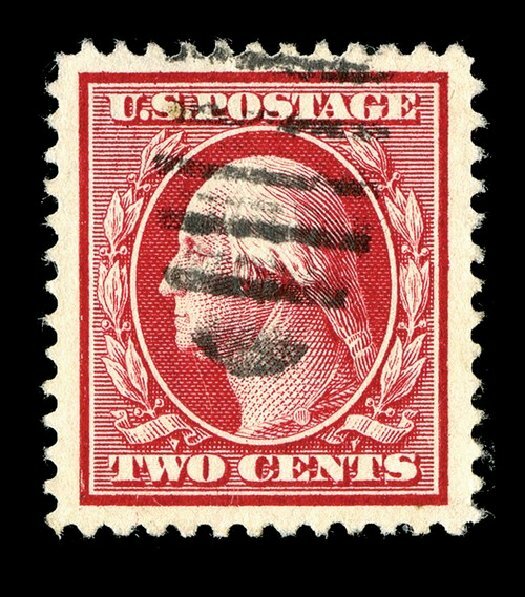 Scott Stamp Values $135+. Estimate value $150-180. 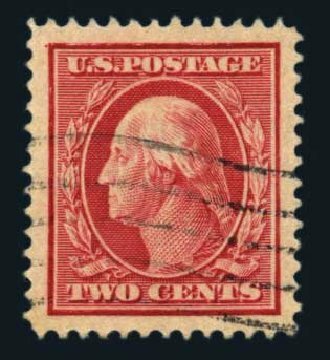 1910, 2¢ carmine (Scott 375), neat black cancellation, monumental example with huge margins and bright vivid color, a true World Class GEM deserving placement in the finest collection, Superb, 2012 P.S.E. certificate graded GEM-100J, 1 of 4 examples achieving this pinnacle of grades, and is the highest graded #375, according to PSE’s population report. SMQ $135 in grade of SUP-98. Scott $1. Estimate price $250 – 350. 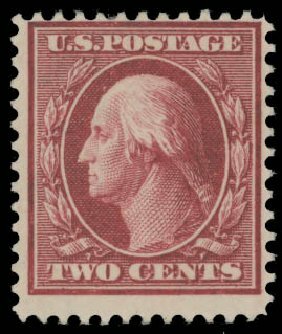 Scott #375, 2c Carmine, highly select used single, extraordinarily well centered amid large margins, strong color, neat oval of bars of cancel, extremely fine gem; 2012 PSE certificate (Superb 98; SMQ $135.00). * 2¢ lake (Scott 375b), choice centering within large margins, intense color on crisp white paper, fresh, original gum, lightly hinged, Extremely Fine (photo). $800 Expertization: 1981 P.F. Certificate. 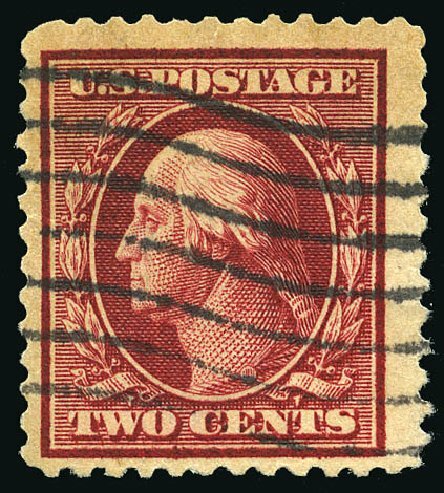 1910, 2¢ lake (375b), neat wavy black cancellation, incredibly scarce and undervalued example of the scarce used lake shade, with nice big margins and beautiful deep saturated color, unlisted in Scott in used condition, but much scarcer than it’s unused counterpart that catalogs for $800.00; small crease at top left and slightly toned at top, otherwise Fine to Very Fine, 1997 P.F. certificate. Scott $800 for unused. Estimate price $500 – 750. 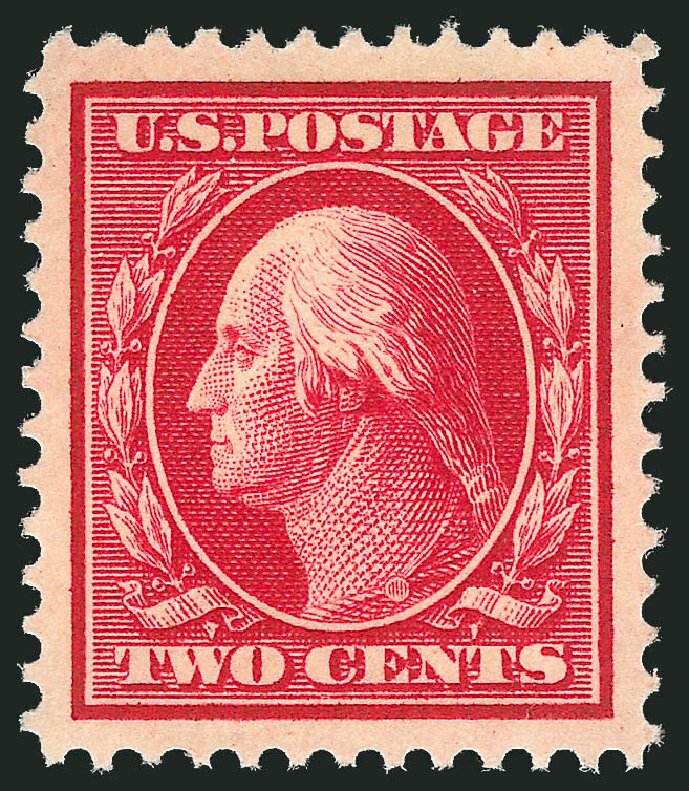 1910, 2¢ lake (375b), disturbed o.g., decent example of this often misidentified color variety, in the true “lake” shade, with breathtaking rich color, missing from most collections; light crease and a trivial thin spot, otherwise Fine, 1997 A.P.S. certificate. 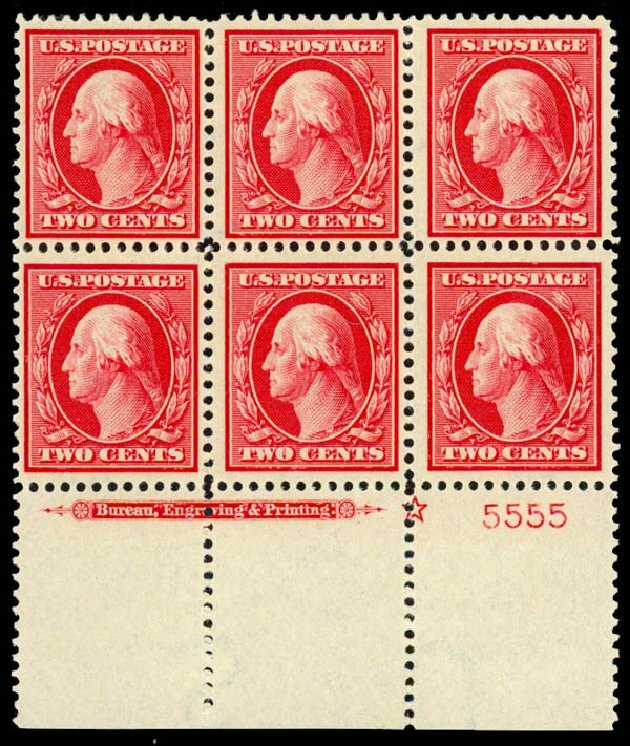 Scott $800. Estimate $400 – 600. 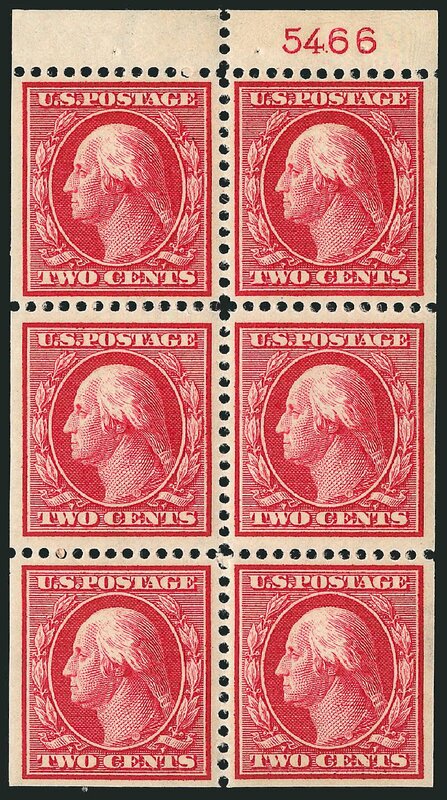 1910, 2¢ carmine (375), bottom plate block of 6, o.g., lightly hinged (3 stamps never hinged), particularly attractive example featuring an immense bottom selvage, with a GEM quality stamp at bottom right which is a big fat JUMBO, Very Fine to Extremely Fine, 2007 P.F. certificate. Scott $125. Estimate $150 – 200.